Posted February 15, 2017 by Michael Forno & filed under City Hub. The future of a 33-year-old domestic violence speciality service – the only one of its kind in the eastern suburbs – is in jeopardy. Kay Schubach, patron for the Bondi Beach Cottage (BBC) and prominent domestic violence ambassador and advocate says that a decrease in funding may force the facility to downsize or merge with other women’s support services. “We could lose the 37 year brand and trust that we’ve built up. Our brand is our asset, people trust us. We’re trying to stay independent and have a strong presence in the area,” says Schubach. The BBC has provided specialised case management and counselling for women suffering abuse since 1984. It also offers court support, therapeutic group sessions and occasional childcare services, making it a “one stop shop” for victims of domestic violence. The cottage has received ongoing support from the local community and politicians such as Gabrielle Upton and Prime Minister Malcolm Turnbull, who described the facility as “invaluable” after a visit in 2015. It has been financed by a combination of philanthropic donations and government subsidisation. As demand for these specialised counselling services is on the rise, government cuts to women’s services has threatened the sustainability of the BBC. Last Wednesday, Schubach met with a team at the Wentworth Minister’s Office to speak about the future of the cottage. “The cottage is at the end of its life, we’ve asked the Minsters’ office if we can get some security about our bricks and mortar,” says Schubach. A survivor of domestic violence herself and author of the Penguin-published memoir “Perfect Stranger,” Schubach is uniquely aware of what kind of services are required on the frontlines of abuse in areas such as Bondi. “Counselling services that really understand the dynamics of higher socioeconomic abuse in the eastern suburbs is paramount,” she says. “Financial abuse, surveillance and power and control dynamics are possibly as much more at play in these neighbourhoods as than women experiencing physical abuse and needing to escape to a refuge,” she says. Providing education to women on the varying forms of abuse and the legal avenues available are “integral” to the safety of both Bondi and the wider community. Schubach would also like to see an educational campaign rolled out throughout the Waverley precinct both in the form of school seminars and letter-box drops to dismantle the misconceptions and stigmas surrounding domestic violence. “People think that Bondi has a certain kind of demographic, we think that domestic violence doesn’t occur in the eastern suburbs,” she says. In 2015, the pilot program “Safer Pathways” found that in Waverley alone, two women per day are at risk of being murdered by their partner. “Domestic violence happens to anyone in any walk of life, it does not discriminate,” she says. With increasing amounts of women feeling able to seek help in situations of abuse, demand for services such as those provided by the BBC are set to rise in the years to come. Schubach is calling on donations and political and corporate support across Sydney to ensure the security of the facility for years to come. 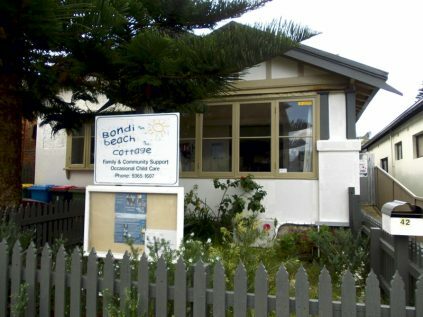 If you would like to donate to the Bondi Beach Cottage, click here.